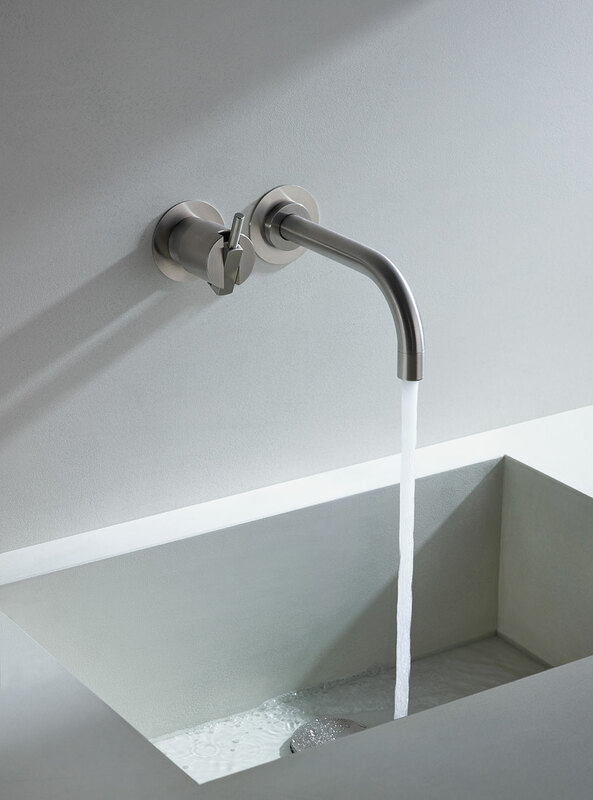 Shortly after Arne Jacobsen won a competition in 1961 for his design of the National Bank of Denmark he was contacted by the owner of VOLA who introduced his proposal for a new type of wall-mounted mixer tap. He imagined a design where all the mechanical parts of the mixer are hidden. At the time this was a completely new concept, but Jacobsen realized that this idea combined with his functional approach to design could be developed. With that basic principle in mind, the simple and concise design that we know today was conceived. Since Jacobsen’s death in 1971, VOLA has continued to introduce new products into the world of the famous range. Thus establishing them as an international brand whilst keeping the original principles of excellent design and functionality. At VOLA, quality is part of the culture. Only perfect products are good enough for our customer. It takes years of training and experience to be able to bend a spout in the perfect way, produce perfect soldering and a perfect surface. VOLA is Scandinavian craftsmanship supported by the latest technology. The products are manufactured from the finest materials according to the highest quality standards. VOLA is certified according to the quality standards ISO 9001, ISO 14001 (environment) and DS/OHSAS 18001 (work environment).